Israel began a major counter-offensive on Gaza early on Tuesday following the launch of over 85 rockets at southern Israel on Monday. At least 14 people have been injured as the Israeli Air Force carried out airstrikes against Hamas targets. 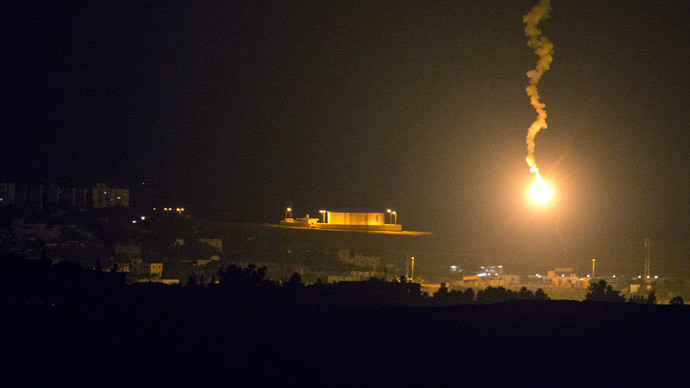 IDF has launched Operation Protective Edge in Gaza following rocket fire, the Israeli Defense Force said on Twitter. 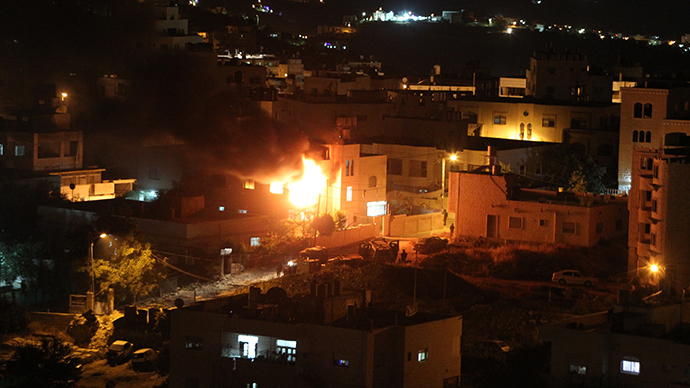 Up to 14 Palestinians have been injured in the airstrikes, Times of Israel reported. Out of all the injured, two were children, a BBC correspondent cited medical sources as saying. According to Gaza-based journalist Harry Fear at least 16 Israeli raids have targeted Gaza from north to south since the operation began.Fear added that Gaza's Health Ministry has declared an emergency.Hamas said Israel targeted four houses and four training facilities in the Gaza Strip. The move comes after more than 85 rockets were fired at southern Israel Monday, with at least 16 of them intercepted by the Iron Dome defense batteries. The IDF has called up 1,500 reservists amid the escalating crisis. Meanwhile, Hamas urged its supporters to fight back against Israeli attacks until “they understand that our people do not know defeat nor surrender,” Man’an news agency cited Hamas’ statement as saying. “Blood for blood, and whoever sets fire burns; our blood will not be wasted,” said the statement. Israel’s Ambassador to the UN Ron Prosor called on the Security Council to condemn Hamas’ actions, denounce terrorism and urge Palestinian Authority President Mahmoud Abbas to dissolve his national unity government with the Islamist group. Nine Palestinian militants were killed in airstrikes overnight Sunday. But, Israel claims that at least six of them died when a tunnel they had built collapsed. 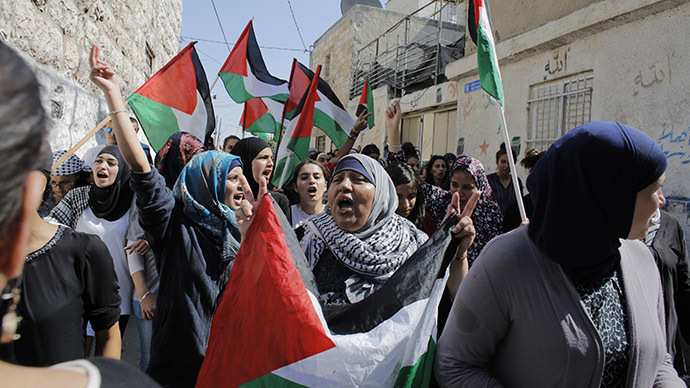 In the last few days, Palestinian militants have fired more than 200 rockets and mortars at Israel and Israel has launched dozens of airstrikes in retaliation. 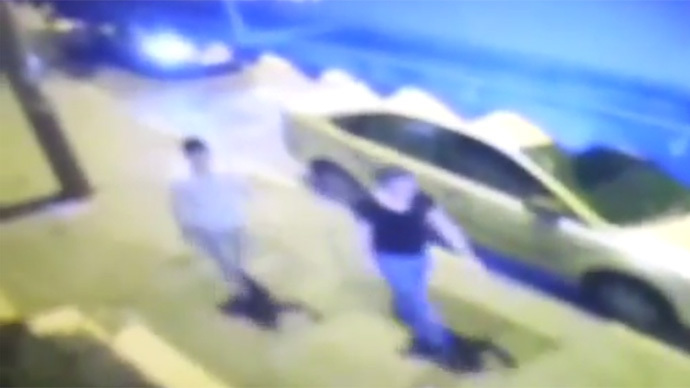 Tensions escalated after three Israeli teenagers were kidnapped and later found killed. 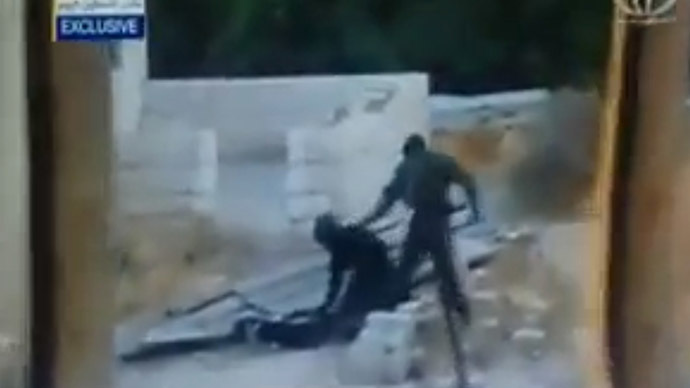 Israel blamed Hamas for the abductions and conducted sweeping raids in the Palestinian territories. 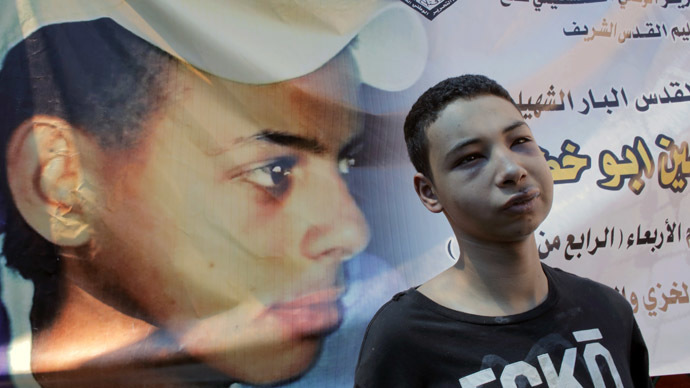 The cousin of the dead Palestinian teen was then badly beaten by Israeli police but he was found to be an American citizen, which drew fierce criticism from Washington.